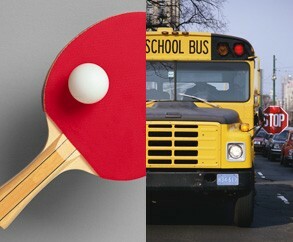 "How many Ping-Pong balls can you fit in a school bus?" A ridiculous question? Perhaps, but it's what you're likely to be asked if you are interviewed for a high-paying internship at Google, according to a new report compiled by Glassdoor, an online careers community. Glassdoor compiled thousands of intern reviews at nearly 3,300 companies over the past three years and ranked the internships by highest-paid, the most-rewarding and those with the most-grueling, even crazy job-interview questions. "What does a college dorm look like in 10 years?" (Microsoft). "So why do you think you are a genius?" (Proctor & Gamble). "What do you think about this [Pepsi] can?" – (Ernst & Young). "If you have two sand-glass timers, one with 7 minutes worth of sand and another with 4 minutes worth of sand, how do you use both to precisely time 12 minutes?" – (JPMorgan Chase). With the job market increasingly competitive, for young people especially -- just 48.8 percent of Americans between the ages of 16 to 24 were employed as of last July -- tough, almost-impossible-to-answer questions have become increasingly common, says Scott Dobroski, a spokesman for Glassdoor. "Employers don't expect you to have an answer," he says. "They want to see how you react and respond." So when asked by a Google recruiter about that school bus, ask follow-up questions, suggests Dobroski. Is it a long school bus or short bus? "The top companies are looking for critical thinking skills," he says. And if you get past the grueling interview, you can find some pretty great rewards. Google, for instance, was rated the best internship and was among the highest paid. Below are the top 10, including salary information (when available). Using former interns' ratings, Glassdoor ranked the companies on a 5-point scale for both the general internship experience and the difficulty of the interview process. (1.0 = very dissatisfied, 3.0 = OK, 5.0 = very satisfied). What was the hardest question you were ever asked during an interview?